This Lovely Designer Kurti For Women With The Best Designs & Looks From Our Store. This Lovely Kurtis Is Made With The Fabric Which Is Very Comfortable To Wear For Day by day Use & For Any Occasion. It Looks Traditional, Awesome & Beautiful With Jeans, Trouser, Salwar & Churidar. This Attractive Kurtis Will Indisputably Fetch You Compliments For Your Wealthy Sense Of Style. The product includes only for the sale of one Kurtis. Non other accessories shown in picture(like legging and so on.) are a part of the product. Up to date designer kurti fully stitched in a position to wear. 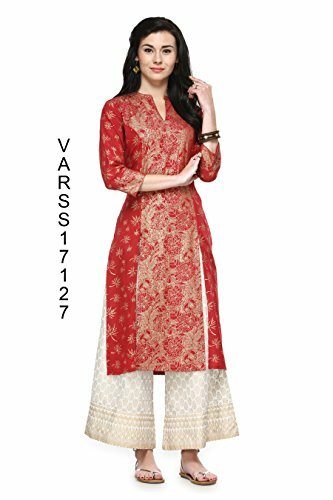 Fabric of the kurti is rayon. This kurti is very beautifully decorated with print.